As you know, I’m always trying to highlight small businesses and neighbourhood businesses and that’s the case with this particular blog post. On the northwest corner of Bathurst Street and Sheppard Avenue, there’s a small strip mall with approximately 25 stores. One store that has been there for ages is called All in The Cards. It’s a small gift shop that also sells greeting cards, but also happens to have a post office. I believe the owner’s name is David, and he and his staff are always very friendly and polite. Even the younger staff greet you as soon as you walk into the store. This seems to be a challenge these days for many retailers, but David’s crew is always friendly and smiling. 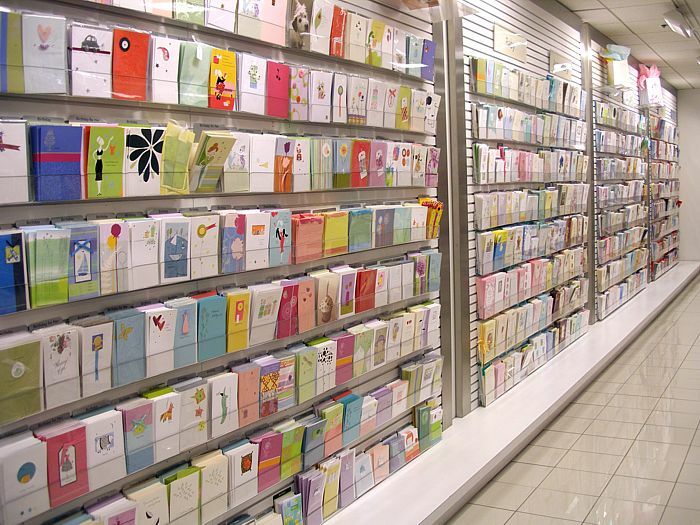 In addition, they’re always helpful whether you’re looking for a gift, in need of a greeting cards, or have something to mail. One of the things that I like about their particular post office, is that if they can find a less expensive way, with good or better service speed, to send a package, they’ll suggest different tricks of the trade. As a result, the employees there have saved me quite a bit of money, and my packages always arrive safe and sound. Recognizing that it is a neighborhood business, if you live in that area or ever happen to be driving through, I suggest stopping in for any of your gifts, cards, or postage needs!